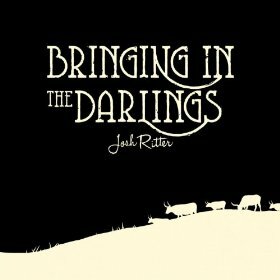 By somewhat fluky circumstances related to touring Ireland with the Frames, Idaho-born Josh Ritter broke through on radio and as a sold-out touring act in that country while still pretty much an unknown here at home. In fact at one point there was a tribute band there named Cork who played only Josh Ritter songs. Years later his following is still a modest one, but devoted. The hopeful sentiment of “Love is Making its Way Back Home” is an appropriate one for Valentines everywhere. And the video, produced by Prominent Figures, took a grueling two months to complete and used 12,000 pieces of construction paper–and zero special effects.